Students with holds will see a checklist in their MyUCSC portal. The checklist shows how to remove the hold. Learn how to use the checklist here. If you have questions, contact us through Health e-Messenger by sending a message to "Immunization & TB Risk Screening Requirement Questions." What is the immunization requirement? All incoming students (undergraduates, graduates, transfers, and re-admits) are required to comply with the UC-wide Immunization and Tuberculosis (TB) risk screening requirement. If you don’t meet this requirement, you can’t attend classes. Please make immunizations a high priority! Without them, a hold will be placed on your registration. You won't be able to register for classes. When should I get the immunizations? The deadline to meet this requirement is before you arrive on campus. We recommend starting right away. Here’s what to do. Gather your vaccination records and compare them to the UC Immunization requirements. Click here for an immunization/screening quick reference graphic. See a healthcare provider to get any missing vaccinations. Read the instructions and watch the video. They will explain how to use Health e-Messenger to give us your data. Enter your data on Health e-Messenger. Unfortunately, we can't accept your records through email, fax, etc. Always use Health e-Messenger. It's secure! Check your compliance status 24 hours after you send us your data. If you have questions, use Health e-Messenger (not email or phone) to contact us securely. Most insurance plans, including UC SHIP, pay 100% for vaccination costs. If you choose to do a blood test (titer) to prove your immunity, you might have to pay part of the cost. 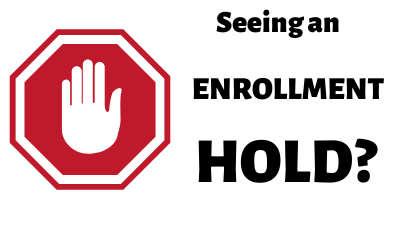 The Student Health Center does not bill other insurance providers. I don't have access to my immunization records. If you think you’ve been vaccinated but don’t have records, you can get titers to determine your immunity. The test results will show if you are immune to specific diseases. Ask your healthcare provider about titers before you come to campus. The Student Health Center can do titers for students who can't access them before school starts. The required vaccines aren't available in my country. If you can't access a required vaccine, get them at the Student Health Center after the first day of the quarter. If you get to campus early, check our website to find out if we're having early vaccination clinics.